Kerala boasts of being the cradle of Ayurveda. This is where this ancient science of longevity and wellbeing was first practiced and gifted to the whole World. Whether you are ill, stressed out, weak, old or simply want to rejuvenate your mind and body, Ayurveda has the cure for you and is natural in all means. No side effects, no harm. In this exclusive Ayurveda Tour, we first get to know you and your requirement. We will analyse with the help of our affiliate Ayurveda Centres which Ayurvedic treatment procedures would suit you. 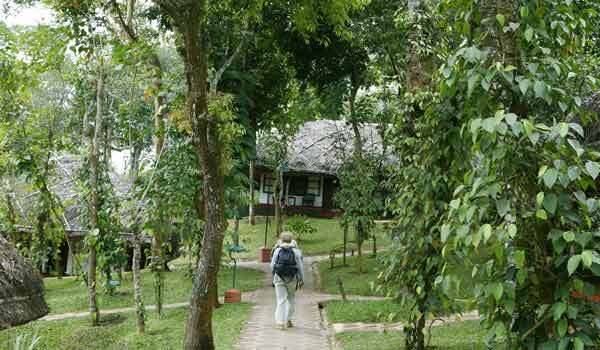 Then we design a perfect Ayurveda Tour plan for you along with a scenic tour of this God’s Own Country. Kovalam is our pick for most of the Ayurvedic treatments. Kovalam is also home to many popular Ayurvedic spa in Kerala where you can indulge in a refreshing and rejuvenating Ayurvedic massage. There are numerous renowned Ayurvedic centers in Kerala and are experts in delivering the best results. Other than Kovalam, Thrissur and Palakkad districts are other options where traditional Ayurvedic treatments in Kerala is still alive. 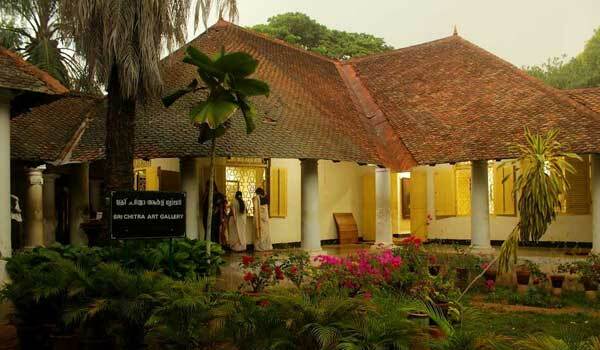 Please find below a sample Kerala Ayurveda tour itinerary. 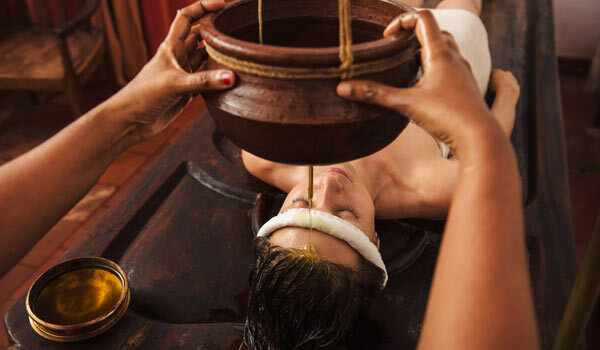 As said it is just a sample itinerary and depending upon your requirement our Kerala Ayurveda Tour experts will customize your tour with best recommendations. Arrive at Cochin where you will be received by our company representative. He/She will explain your tour and introduce you to your driver. Later transfer to hotel located in the ancient town of Fort Cochin. Day free to explore the heritage town on your own and in the evening enjoy a private sunset cruise [Optional] in the harbour. 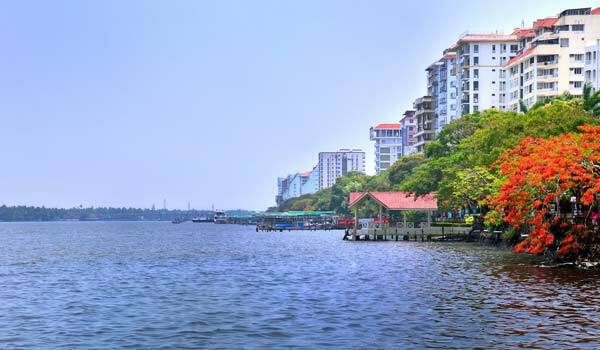 Today post breakfast do the Cochin sightseeing. Visit the Jewish Synagogue, the Dutch Palace, St. Francis Church, Santa Cruz Basilica and the Chinese Fishing Nets. 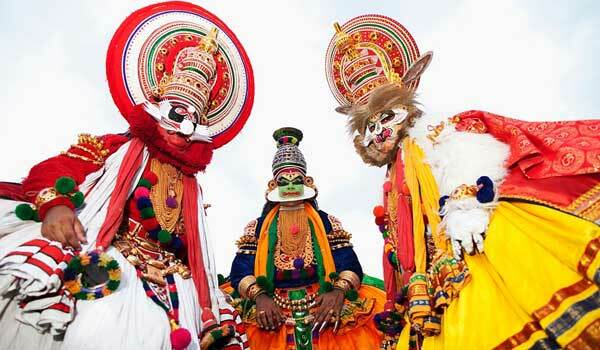 Later day free for shopping and in the evening watch a theatrical performance [Optional] of the major art and dance form of Kerala including Kalaripayattu and Kathakali. After breakfast drive to Munnar which is the most beautiful hill station of Kerala full of tea plantations and misty mountains. During this drive through the narrow hair pin roads you can see beautiful valleys, tea plantations and small waterfalls en-route. On arrival, relax in the resort and later explore the hill station on your own. You could try an evening leisure walk along the hill ways of Munnar. Today post breakfast start the sightseeing tour of Munnar starting off by visiting the Eravikulam National Park and Rajamala Peak which is home to endangered species of Nilgiri Thar (mountain goats), Mattupetty Dam where speed boating can be done and is a fun filled activity, Tea Museum where you are given a brief demonstration on the history of tea and tea production in Munnar. Later drive to Top Station, Echo Point, etc. Evening drive back to hotel. 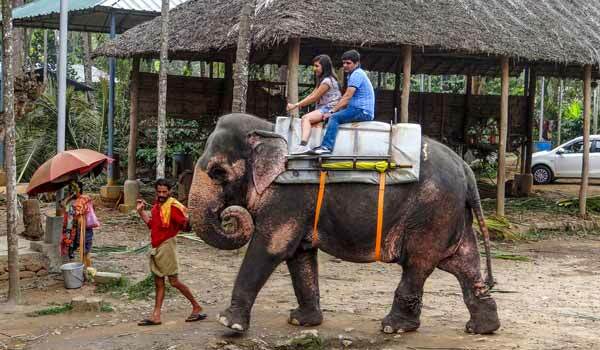 After breakfast drive to Periyar also known as Thekkady which is famous for its wildlife and sprawling spice gardens. The drive to Periyar from Munnar is something you must enjoy every bit. 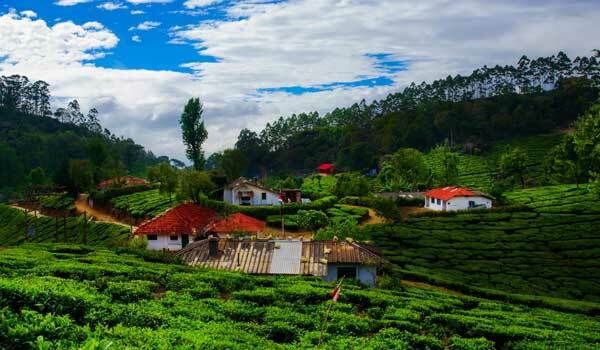 It is very scenic crossing the tea gardens, dense woods and the spice plantations. En-route stop at Abraham Spice Garden and do an extensive tour of the variety of spices grown in this organic farm using traditional methods. This garden has been recommended in Lonely Planet and BBC edition of Monty Don’s Around the World in 80 Gardens. On arrival check into the resort and relax, later explore the spice market. Early morning enjoy a 02hrs boat ride in the Periyar Lake. Enjoy the surroundings and if lucky you would come across the wild animals of the Periyar jungle as they come close to the lake to drink water and graze. After a late breakfast you have options to enjoy 02hrs elephant package [Optional] which includes 01hr ride and then the process of bathing the elephant in the river, feeding it, timber dragging, command and communication, etc, and later day free for own activities. You can try Spice shopping in Periyar. You won’t get this high quality spices anywhere else. 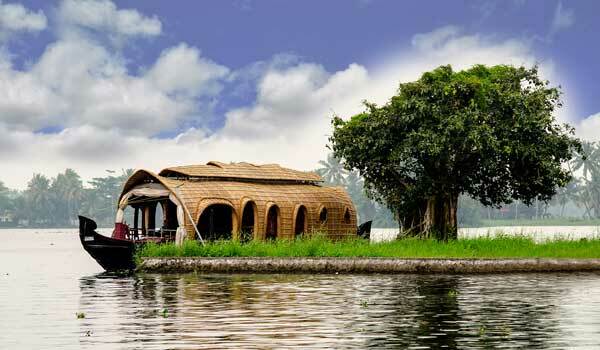 Today post breakfast you are going to Alleppey, the most happening destination in Kerala. The Alleppey backwaters is a unique stretch of backwaters which is famous around the World for its un-parallel beauty. The best way to enjoy is a houseboat. Board your private houseboat we have arranged exclusively for you, at 12noon to cruise in the narrow backwater canals. During the journey you will come across paddy fields, palm fringed countryside, local markets and can watch the day to day activities of the local people who live nearby. You will be served with delicious Kerala food cooked exclusively for you by our houseboat crew. After breakfast disembark the houseboat by 9.30am and transfer to Kovalam which has the finest beaches in Kerala. 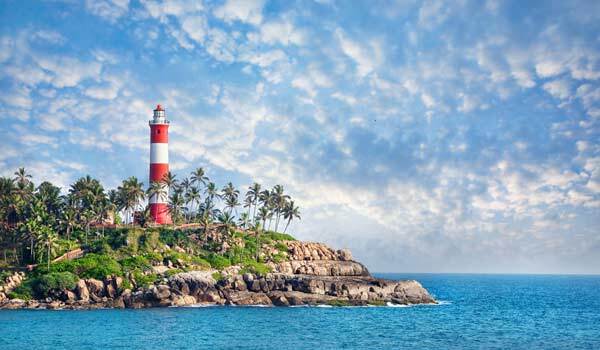 On reaching Kovalam, check into the beach resort and relax by the seaside. Try a beach stroll in the evening and enjoy the beautiful sunset from this part of the World. These days undergo the 07nights Ayurvedic rejuvenation package at the resort and in the leisure time relax at the beach. You will have a brief consultation with your assigned Ayurveda doctor and as per his advice you will undergo various Ayurvedic treatments these 7 days. During your free time, relax and enjoy the Kovalam countryside. On this day as per the departure schedule and if time permits do the local sightseeing of Trivandrum City, the capital of Kerala. The Padmanabha Swamy Temple [World’s richest Hindu temple], the Napier museum, Horse Palace and the Sree Chitra Art Gallery are the major sightseeing places of Trivandrum. Later you will be transferred to the Trivandrum airport to board your flight back home. We look forward to welcome you back to the God’s Own Country, Kerala.